Centennial's mission is to provide a Christian education designed to prepare young people for life as productive, responsible citizens. 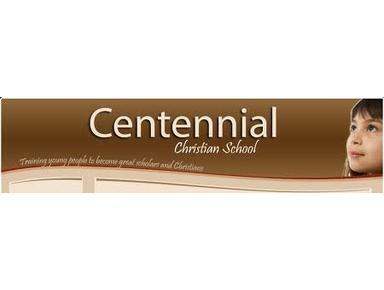 The Centennial staff works to train each child academically, spiritually, morally, and physically. We hope that the information provided will help you to make the right choice for your child. Please feel free to e-mail, write, or stop by the front office, at your convenience, if any of us can be of service to you. It is our desire to keep an open line of communication with our parents and students. Roughly 85% of the student body is made up of Korean-American children, some with parents that speak little to no English. In addition to Korean-American, our next largest national representation is Korean along with some other national backgrounds such as Indonesian, Filipino, Indian, Swiss, Australian, Chinese, and Japanese.